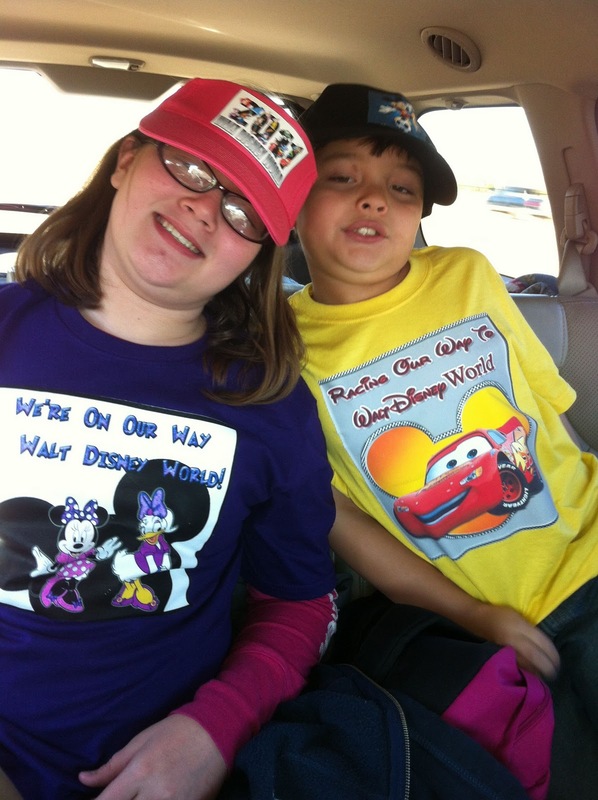 We picked the kids up early from school on Thursday and surprised them with a trip to Disneyworld. I had been planning this for about 4 months but they didn't know anything about it. 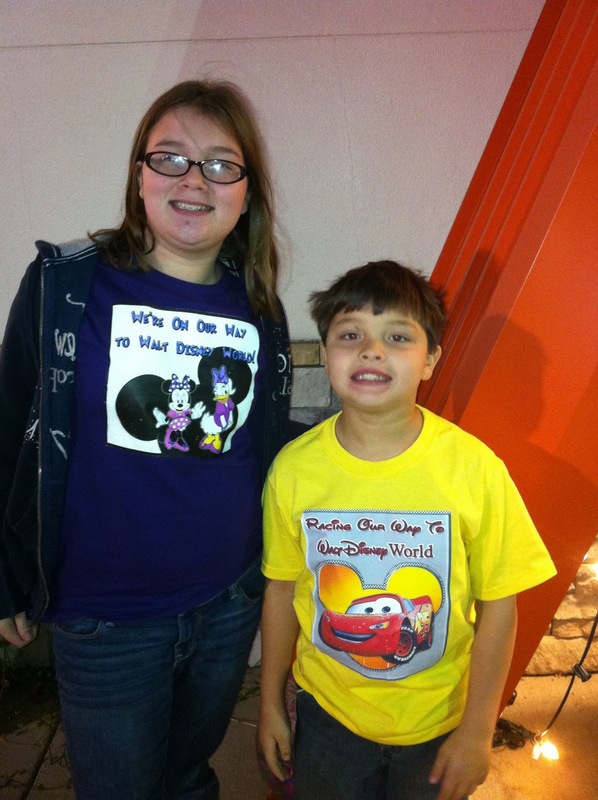 We picked up Kyle first and I had made them shirts that said 'we are on way to Disney World' on them. When I went in to get Kaitlyn, Kyle climbed in the front seat and John didn't stop him so he found his shirt. 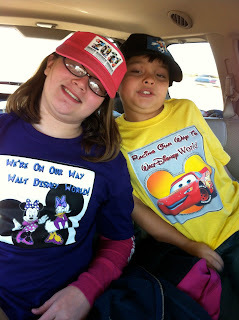 Then he yelled to Kaitlyn when we came out of the school that we were going to Disney World. So my plan to get a video of the whole thing failed (thanks to John) but they were excited anyway. Here's a better picture that I took when we stopped at a Whattaburger to eat. We drove part of the way on Thursday then got up early Friday morning and drove the rest of the way. We checked into our hotel (Port Orleans Riverside) and this was our room. We were so excited to finally be here! Glad you are finally getting around to posting! Sorry the surprise got ruined :( Can't wait to see/hear all about the trip...we are thinking about going next fall for a few days, we shall see!